The remnants of an 1887 shuttle train connecting the Brooklyn neighborhoods of Crown Heights and Coney Island is still in use, but its elevated structure is surrounded by an underused and neglected corridor that divides a diverse and complex neighborhood. 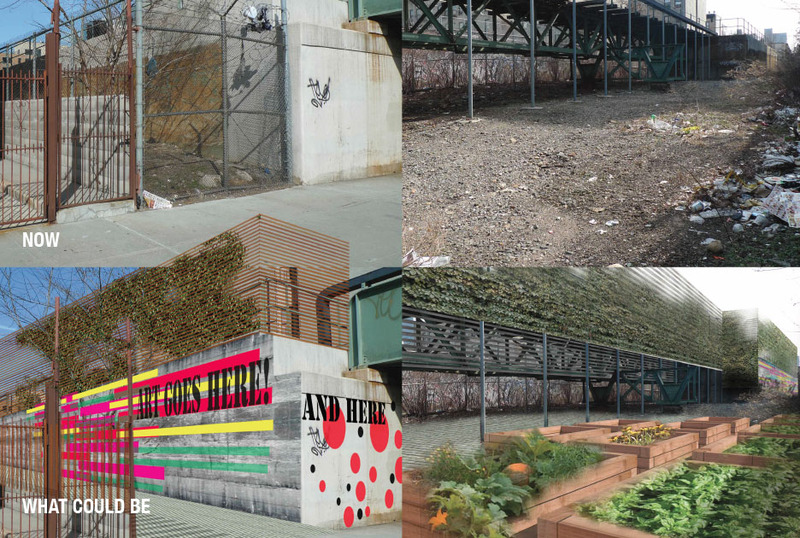 Manuel Ávila founded Crown Heights Participatory Urbanism, a community-based planning and design project, to invite residents to re-imagine this passage into a series of public spaces that would unify the neighborhood. Their feedback, collected at community meetings, on local blogs, and in several notebooks strategically placed in local stores, informs designs for five sites along the corridor. With input in hand, Ávila is working with elected officials to obtain the permits and funding to realize these modest but transformative ideas.